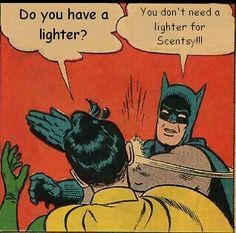 Scentsy Lady, Scentsy Lady, bring me a free sample maybe. She throws parties, she fills orders, she helps all those scent hoarders. Watch out! 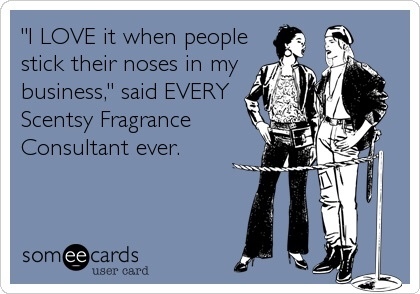 Here comes the Scentsy Lady! You, of course, have to sing that to the tune of the Spiderman Theme song. If you haven’t guessed already, from the other obscure and overt references to all things nerdy, I’m a nerd. One of the things that many people tell you about Direct Sales businesses is that they are over-saturated in most markets. 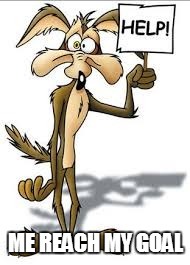 So, why did I get into a direct sales business? Honestly, I had worked in sales before and discovered I was pretty good at it. It is all about finding the benefit to the customer and helping them see it. 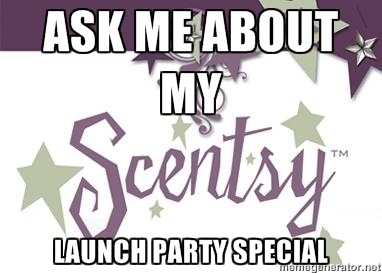 With Scentsy, that can be as simple as finding the right product, bundle, or deal. I knew I should go ahead and sign up when I was already planning marketing and how to get people to host parties. I also realized that you can say the same thing about Starbucks too. In many cities there is a Starbucks on every corner it seems. What it boils down to is three things. A good product gain to get repeat clients, creative ways to market to bring in new business, and awesome customer service to make all your customers feel valued and you can do well in any environment. With Scentsy I believe in the product. It is one that I use on a daily basis. Their warmers are throughout my home making thinks smell fresh, clean, and homey. Their light helps me stumble my way through the dark to comfort or feed upset babies in the middle of the night. Their body lotions and soaps are a part of my grooming routine. I use it because it is quality. Marketing and customer service are what I bring to the table. I’ve worked in customer service since high school. I’ve gone through the stages of service angst and now, in my thirties, I value and understand the importance of giving and receiving good service. This doesn’t mean pandering to customers or sucking up. Just being responsive, friendly, and cognizant of their needs in an interaction can make it feel personalize and memorable. This type of customer service is one I have yet to explore. Knowing my customers trends, dislikes and likes will be new to me. But by paying attention to their purchases and things they say, I can make recommendations and offer products that would be in their wheelhouse. With marketing, to be honest, I’ve never taken a class and I do not have a business degree. I went to school for music educations and ended up working at a call center for one of America’s top banks. While there I learned all about management, team motivation, and how to sell. Those skills are transferrable. And I plan on using them. Being willing to put yourself out there is one of the main elements that I plan on using. That, along with branding myself to create a product in my service that others cannot compete with.